Cold laser therapy as a concept has been around for the past 5 decades and has had thousands of research papers written on it. In the past decade, advances in technology and research have brought the treatment into new realms of being able to help people get out of pain and live the lives they want to lead. The therapy is FDA approved and its main benefits are that it is conservative, non invasive and has little to no contra-indications. It helps a multitude of pain causes and decreases the healing times of injuries and pain. The treatment is also being investigated in looking at helping other issues including the effects of tinnitus, heart conditions and more, so it is definitely a treatment for today and the future. Even vets are using it in treating animals as it is so effective. As many people don’t know much about the treatment, we often get asked more information about it. Here’s a few FAQs on cold laser therapy. Depending on your age, condition, skin type and other variables including pain type, we set up the cold laser equipment to provide the appropriate power and wavelength to be applied to the area of concern. The laser is then applied to the painful region for a specific time and the laser works by motivating cells in your tissues to help increase oxygen and blood flow to the area and this helps to improve healing and decrease the amount of healing time. It is said that one cold laser session is around the same level of intensity of 15 ultra sounds. This makes the treatment very efficient and able to help you get back to full fitness much quicker. While it sounds scary that a laser is being directed onto your body, there is a reason why it is called cold laser. The lasers are not hot like the lasers you may be thinking of and as such you generally will not feel a thing. Some people to experience a slight tingling sensation, but there is no pain from the treatment. Everybody is different and reacts to different treatments. When you come into the office we will discuss the pain you are having and examine you and then we will make a recommendation as to whether cold laser therapy is right for you or not. Sometimes a combination of two therapies (chiropractic and cold laser therapy) can be very advantageous as well. The primary benefit is that it is non invasive and may even mean you avoid surgery if your condition is that bad. 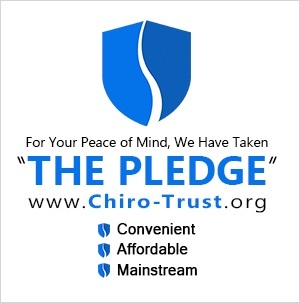 It has an 85% patient satisfaction rate and can help you reduce pain and get back to living the life you want. And of course, it means you won’t need to take any medication which doesn’t cure your problem and comes with many damaging side effects. The lasers are very safe. On the class IV lasers, special goggles are needed, but any side effects are extremely minimal. If you are interested in this alternative means of pain control and elimination, call us today. We would be happy to discuss with you to see if you are a candidate.